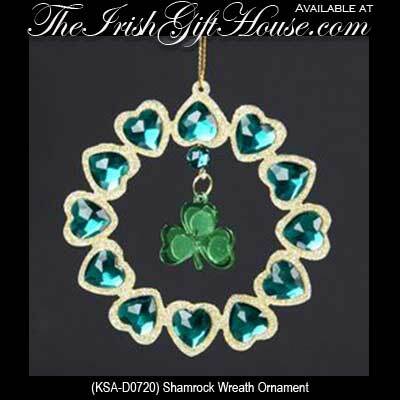 Sorry, this Irish ornament is now sold out. 3 1/2" Diameter, Made of Plastic, Gift Boxed. From KSA.